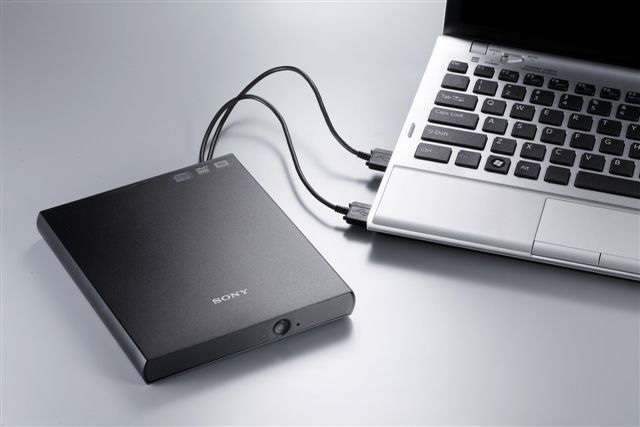 Sony Optiarc America has debuted its first dual USB bus powered, external DVD which features a super slim (19mm) profile and supports 8X DVDR recording speeds. 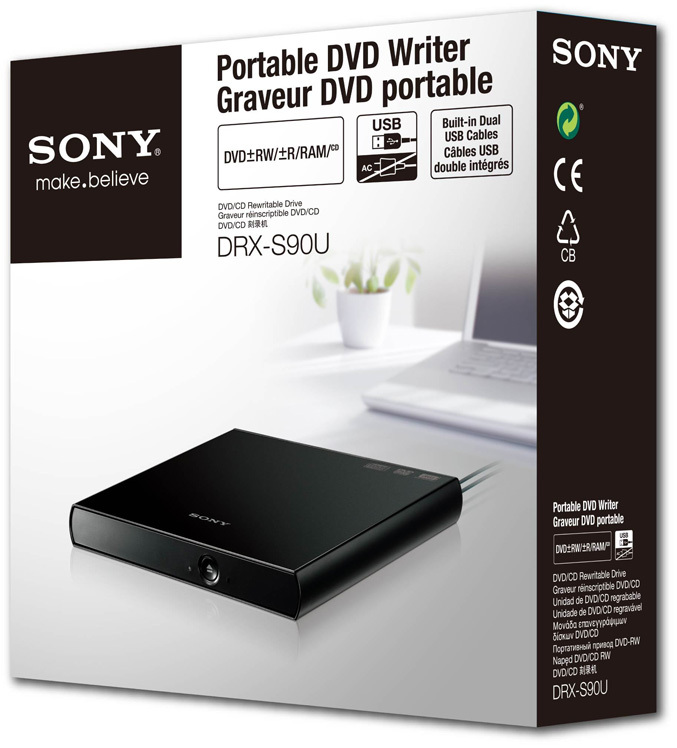 The drive comes in sleek, black coating and weighs only 320 grams, make it ideal for notebooks, netbooks or desktop PCs. 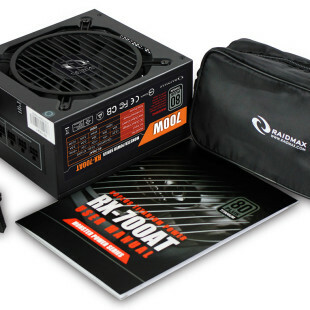 DRX-S90U is equipped with dual, built-in USB 2.0 cables for simple setup and maximum flexibility, and can record 8.5 GB DVDR Double/Dual layer and 4.7 GB DVD-RW discs at 6X speeds, DVD+RW at 8X, DVD-RAM at 5X and CD-R/RW at 24X. The comes bundled with Nero 10 CD/DVD software and will be available this month for $70.